Suitable for 18 months - 5 years For the ideal transition from cot / crib to big kids bed, the Paw Patrol Toddler bed is built low to the ground for easy access and is constructed from a child-friendly high-quality plastic and metal frame adorned with Paw Patrol themed decals showing your childs favourite TV characters! 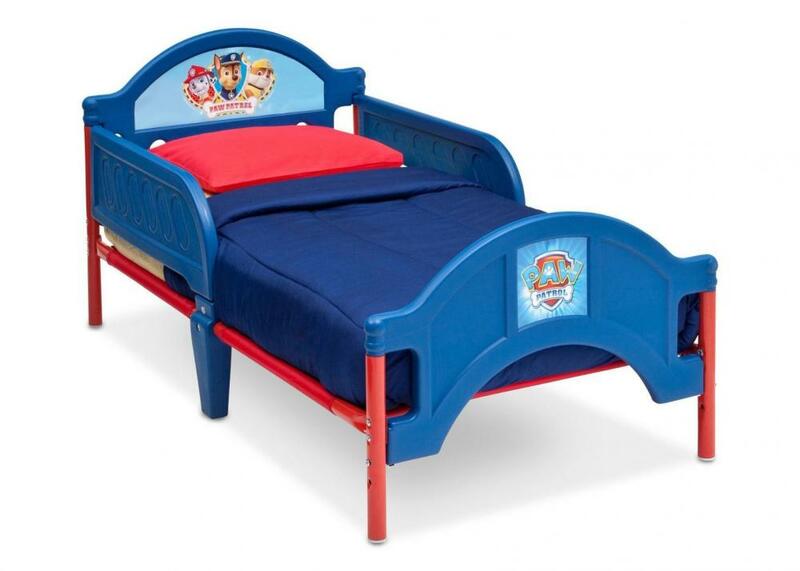 Have a good nights sleep with the Paw Patrol friends in this Delta character toddler bed. Constructed to a high quality featuring a metal and plastic frame. Vibrant red and blue colours with Paw Patrol decor images. *To avoid dangerous gaps, any mattress used in this bed shall be a full-size crib mattress at least 51 5/8 in (1310mm) in length, 27 1/4 in (690mm) in width and 4 in (100mm) in thickness. Maximum recommended mattress thickness 5 3/4 in. (146 mm).